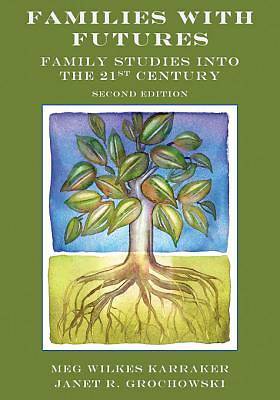 Noted for its interdisciplinary approach to family studies, Families with Futures provides an engaging, contemporary look at the discipline's theories, methods, essential topics, and career opportunities. Featuring strong coverage of theories and methods, readers explore family concepts and processes through a positive prism. Concepts are brought to life through striking examples from everyday family life and cutting-edge scholarship. Throughout, families are viewed as challenged but resilient. Each chapter opens with a preview of the chapter content and concludes with key terms and varied learning activities that promote critical thinking. The activities include provocative questions and exercises, projects, and interactive web activities. Boxes feature authentic voices from scholars and practitioners (including CFLEs) from a variety of disciplines including family studies, sociology, psychology, and more. These boxes provide a firsthand look at what it is like to work in the field. The book concludes with a glossary defining each chapter's boldfaced key terms. Career opportunities in family studies. The new Instructor's Resource website features test questions, PowerPoint slides, chapter outlines, news bulletins of current events, hotlinks to helpful tools such as the NCFR's Ethical Principles and Guidelines, and more. This is an ideal text for upper-level undergraduate and lower-level graduate courses in family studies, family ecology, and family science offered in departments of family and consumer sciences, human development, psychology, and sociology.